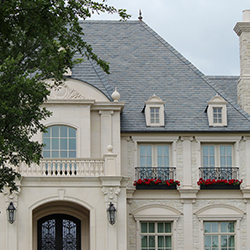 Slate roofing is a beautiful addition to almost any home. 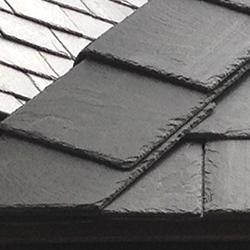 If you’re looking for the most stylish roofing material on the market, slate is a great choice. 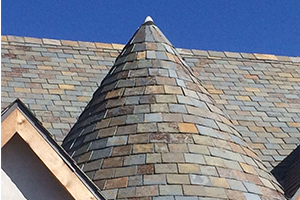 But, the benefits of a slate roof go beyond incredible curb appeal. 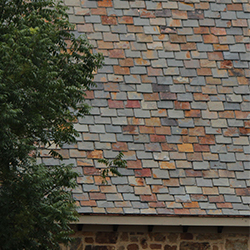 Slate roofs are durable and designed to last for decades. One of the biggest reasons why slate is so popular is because it’s a material that’s naturally resistant to fire. Slate also requires very little maintenance — you’ll just need to have it inspected every year or two, and promptly repair or replace broken or damaged tiles. The one downside to slate is that it is one of the more expensive roofing types available, but when you consider the fact that you might never need to replace your roof again if you go with slate, it’s well worth the cost. 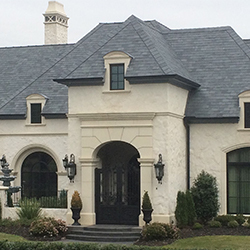 We offer stunning slate roofing options from Georgetown Slate. 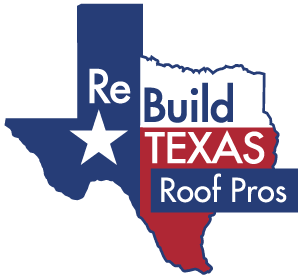 At Rebuild Texas, we are proud to say that, when you rely on our roofing contractors to install your slate roof, you can rest assured that it will get done right the first time using only the best materials. 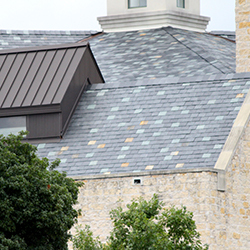 We work hand-in-hand with Georgetown Slate, America’s largest slate roofing supplier. Slate from Georgetown Slate comes directly from quarries in the United States, China, Canada, Spain and Brazil. When you choose to Georgetown Slate, you’re buying slate directly from its source. Every square is personally inspected to ensure quality, and every purchase is backed by a 100-percent guarantee. 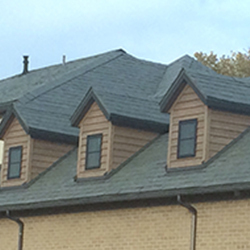 Let us help you find the right slate roofing option for your home! 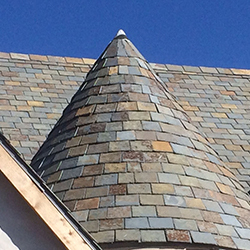 Whether you’re interested in a slate roof because of their beauty, durability or long lifespan, get the most out of your slate roof by choosing the right roofing company to install it. Installed correctly, slate is one of best and longest-lasting roofing options, and there’s no company better equipped to install your new roof than the team at Rebuild Texas. 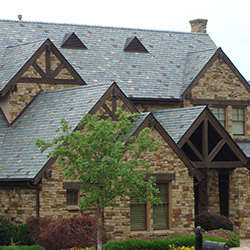 Our team is dedicated to excellence in everything we do, and we can help you find the right slate roofing color to complement your home’s architectural style and enhance your curb appeal. 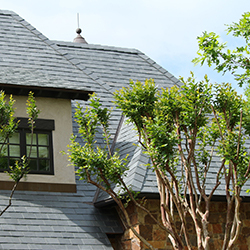 Contact us today to learn more about slate roofing and to get your free roofing estimate.